My research engages with a variety of debates within and between political science and public sector governance. I am particularly interested in the role played by administrative systems (and the organisations within them) in translating political preferences into policy outcomes. o How States Retrench in Times of Crisis: This ongoing research is concerned with the implications of the 2008 economic crisis for the politics and organizational shape of the state. It links to collaborative work which emerged from the European Commission FP7 COCOPS initiative 'The financial crisis in the public sector' (Prof. Tiina Randma-Liiv, Tallinn, and Prof. Walter Kickert, Rotterdam) and the Building State Capacity Project at the Geary Institute, UCD (Prof Niamh Hardiman). As part of this work, I was awarded a Research Fellowship (2014-16) to examine the creation and reform efforts of the Irish Department (Ministry) of Public Expenditure and Reform. This was published in July 2017 as a monograph titled Public Sector Reform in Ireland: Countering Crisis (Palgrave). o Public Accountability and Crisis:I am a Co-Investigator on the ESRC funded project ‘Apologies Abuses and Dealing with the Past’ (2016-20). This comparative project explores apologies linked to harms arising from the conflict in Ireland, institutional child abuse and the fall-out from the 2008 financial crisis. My role in this project is to lead on issues relating to organisational reputation and accountability, specifically in relation to financial institutions. o Data, Technology and Government. This is an emerging research theme I am involved with arising from my role as Co-Investigator in the Leverhulme Interdisciplinary Network on Cybersecurity and Society (LINCS) Project at QUB. My work aligns with the research strand on Cyberspace, Privacy and Data Protection. I currently supervise two PhD students working in this general area – Connel McKeown on Accountability and Open Data, and Claire Bevan on the Regulation of Big Data. o Evolution and Reform of State Agencies: For the past several years I have been involved in research on the autonomy, accountability, rationalisation and re-organsation of public sector agencies or ‘quangos’. This involves ongoing collaboration with research teams across Europe as part of a European Science Foundation funded network (COST-CRIPO). With colleagues from this network I have recently begun to examine longitudinal aspects of state bureaucracy using time-series datasets on public organisation. This work builds on my post-doctoral research in 2009-10 at the UCD Geary Institute with Prof Niamh Hardiman and Prof Colin Scott, which resulted in the production of the Irish State Administration Database (www.isad.ie). o Irish Government and Politics: Since publishing my PhD thesis concerning parliamentary accountability in Ireland in 2005, I have authored and edited a number of textbooks on Irish government and politics and continue to teach on these topics. More recently, in my role as President of the Political Studies Association of Ireland (2016-19), I have sought to grow the Irish political science community and develop its profile nationally and internationally. As well as researching, teaching and superivisng in these areas, I have published work and retain ongoing interests in the study of political-administrative relationships, parliaments, organisational theory, and public policy studies. Some of my research papers on these and other topics are available via the Social Science Research Network or Google Scholar. A number of blogs are also available on The Conversation and QPOL. I am a Visiting Lecturer at the UCD Geary Institute and am also an Associate Fellow of UCD’s Centre for Regulation and Governance. I am happy to supervise dissertations and theses allied to my teaching and research interests as outlined above, as well as related fields. My teaching concerns Irish politics and government, and international public administration/management and policy respectively. I convene the Level 3 Module on Politics, Public Administration and Policy-Making (PAI 3068) and the MA Module on The Politics of the Republic of Ireland (PAI7022). 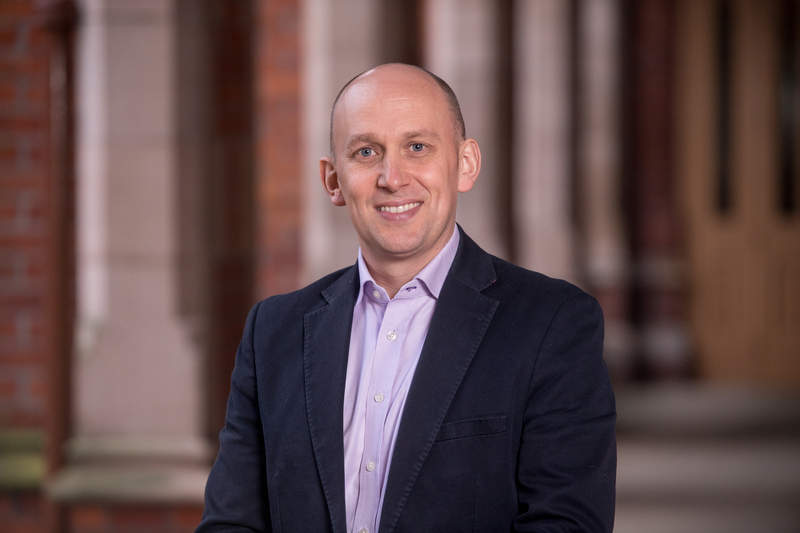 I am Programme Director of the multi-disciplinary MSc in Public Policy at Queen’s. In November 2016, I was elected President of the Political Studies Association of Ireland (PSAI; www.psai.ie) for a 3-year term. In May 2018 I was invited to join the Royal Irish Academy's Ethical, Political, Legal and Philosophical Committee for a 3-year term.